The way we communicate and learn has been revolutionized by technology such that we are never more than a phone call, message or text away from family, friends and colleagues. Mirroring this, social media is beginning to change the way that medicine is taught and practiced. It has the power to engage both healthcare professionals and members of the public with regards to health and policy discussions, networking and facilitating access to health information and services. In this chapter, we will discuss the way social media and free open access medical education impacts on the way we learn, teach and keep up to date with medicine. General Medical Council UK. Doctors’ use of social media. 2013. Available at: https://www.gmc-uk.org/ethical-guidance/ethical-guidance-for-doctors/doctors-use-of-social-media/doctors-use-of-social-media. Accessed 19 Nov 2018. Nickson C. Life in the Fast Lane: FOAM. 2017. Available at: https://lifeinthefastlane.com/foam/. Accessed 19 Nov 2018. The Bottom Line website. Available at: http://www.thebottomline.org.uk. Accessed 19 Nov 2018. Health on the Net Foundation Code of Conduct. Available at: https://www.healthonnet.org/HONcode/Conduct.html. Accessed 19 Nov 2018. Association of anaesthetists of great britain and ireland: lifelong learning in anaesthesia. Available at: https://learnataagbi.org. Accessed 19 Nov 2018. Royal College of Anaesthetists UK: What to expect from the RCoA on Social Media. Available at: https://www.rcoa.ac.uk/system/files/Guidelines-WhatExpect.pdf. Accessed 19 Nov 2018. Australian Medical Association Council of Doctors-in-Training, the New Zealand Medical Association Doctors-in-Training Council, the New Zealand Medical Students’ Association and the Australian Medical Students’ Association. Social media and the medical profession. A guide to online professionalism for medical practitioners and medical students. 2010. Available at. http://www.amawa.com.au/wp-content/uploads/2013/03/Social-Media-and-the-Medical-Profession_FINAL-with-links.pdf. Accessed 19 Nov 2018. Medical Defence Union. Guide to social media. 2017. Available at https://www.themdu.com/guidance-and-advice/guides/consultant-pack/guide-to-social-media. Accessed 19 Nov 2018. Nickson CP. Free open-access medical education and critical care. ICU Management and Practice. 2017. 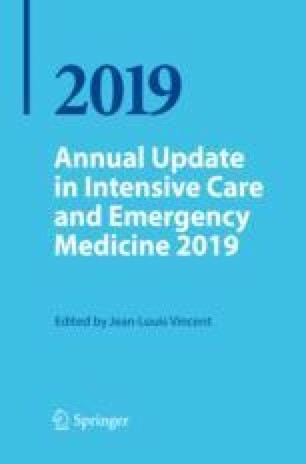 Available at https://healthmanagement.org/c/icu/issuearticle/free-open-access-medical-education-foam-and-critical-care. Accessed August 2018.